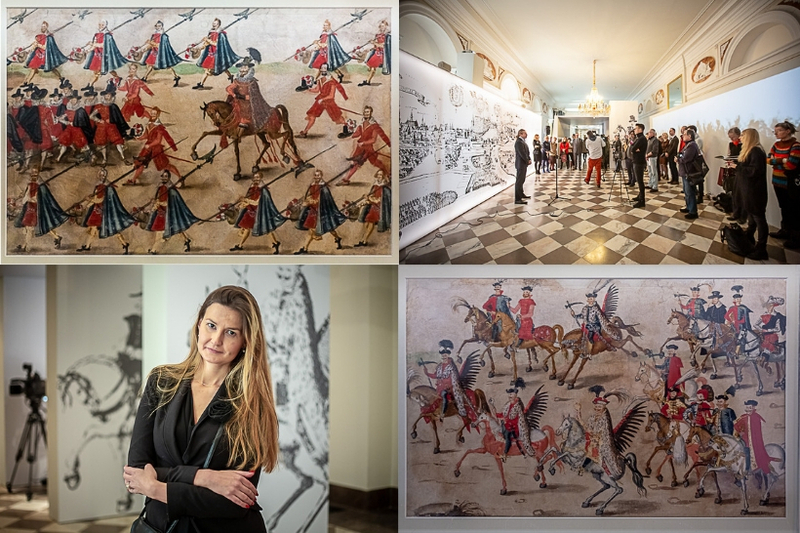 Stunning 15-metre scroll hidden for hundreds of years goes on display at Royal Castle – but be quick as it will soon disappear again for another decade! 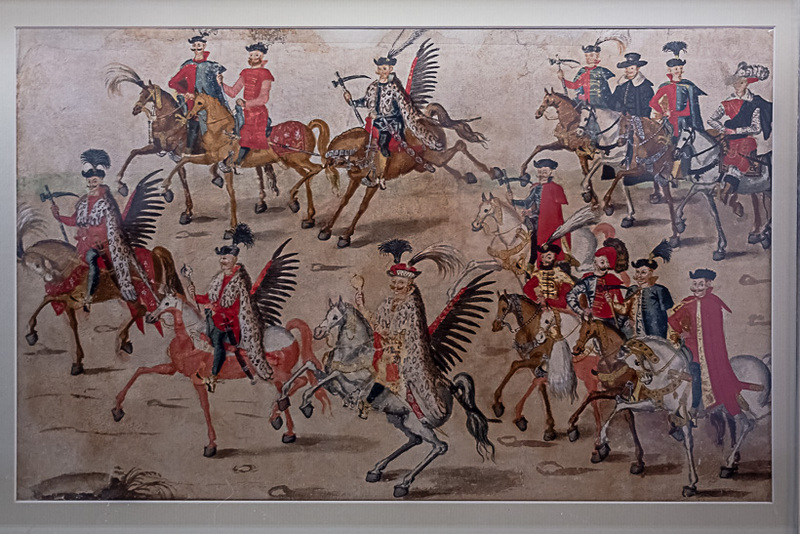 A unique, fifteen-metre long, 17th century painting that was last displayed to the general public in 2002 has been brought out of Warsaw’s Royal Castle vault and will be on display for only five weeks, after which it will be packed away and will likely not be seen by the public for another ten years. 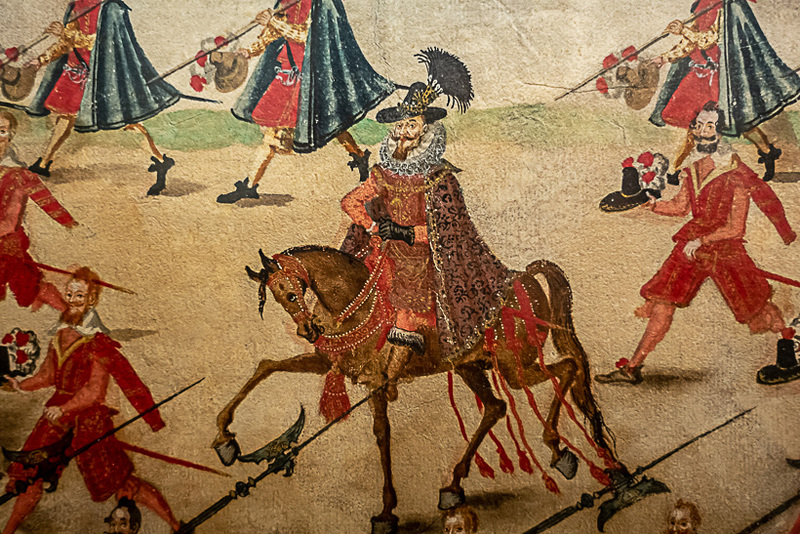 The Stockholm Scroll depicts the 1605 wedding procession in Kraków of King Sigismund III Vasa, the one who sits on his column on Castle Square, and his second bride, 16-year-old Constance of Austria. 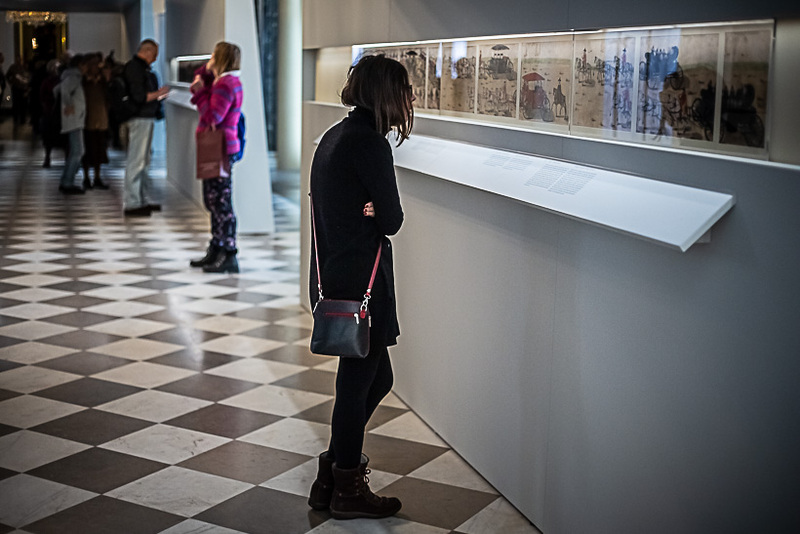 The exhibiting of the priceless scroll in the Royal Castle kicks off the Vasa Year 2019, which will commemorate the period when Poland was ruled by the Vasa dynasty, one of Europe’s most illustrious royal houses at that time. This year marks 400 years since the castle was reconstructed by Sigismund in its current five-sided shape. The scroll was stolen together with other loot when Warsaw was occupied by marauding Swedes during the Deluge of the mid-17th century. It then lay forgotten for hundreds of years in the royal armoury in Stockholm. It was rediscovered at the beginning of the last century packed away in a round container, but it was not until 1974, 319 years after it was stolen, that it was formally handed over to Poland in a goodwill gesture by the then Swedish prime minister Olof Palme. When Polish experts got their hands on the treasure, they found it in very poor condition. It had been folded and its surface was creased and crumpled. There were numerous tears and some sections had completely crumbled away. Therefore, in the 1980s it was decided to divide the scroll into the 39 individual sheets from which it was originally put together. It is these paintings that are on display at the exhibition ‘The King is Getting Married! – The Stockholm Scroll’, the first time they have been seen in public since 2002. The work was also originally much longer. The number of the panels begins with number 15 and goes up to 24, which suggests that 14 panels may be missing. Art historians have no information about what may have been depicted on these missing pieces. 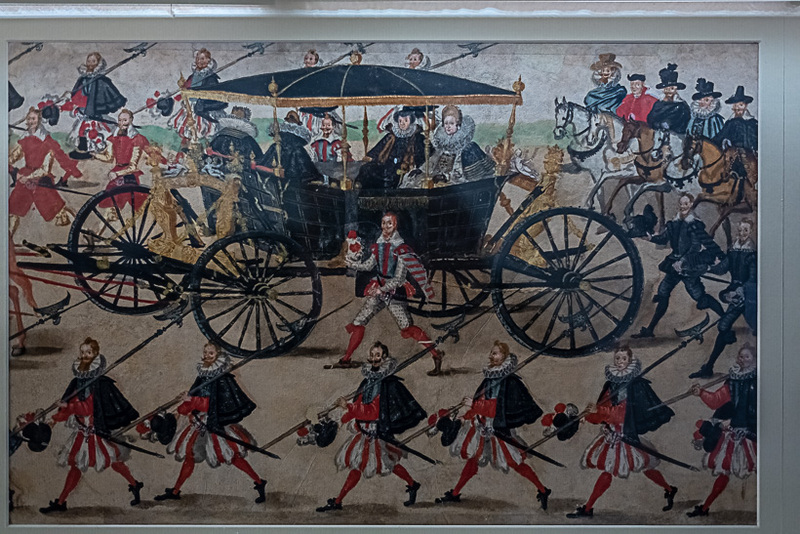 The fascinating scroll, painted by an unknown artist in watercolour, gouache and gold paint, depicts around 600 elaborately dressed participants of the wedding march on their way to the Wawel Cathedral in Kraków. 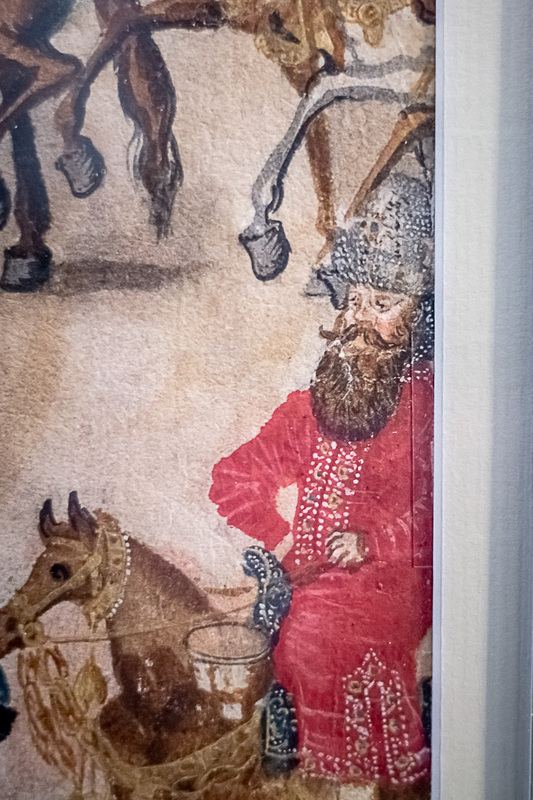 The exquisite detail in which the participants are shown allows visitors to immerse themselves in a bygone age and rediscover the fashions, priorities and weaponry of the early modern period in Poland. Exhibition curator Marta Zdańkowska explained to TFN: “The costumes shown on the scroll are particularly interesting. We can see the traditional Polish high-collared jackets, but also western style hats with wide brims and feathers. 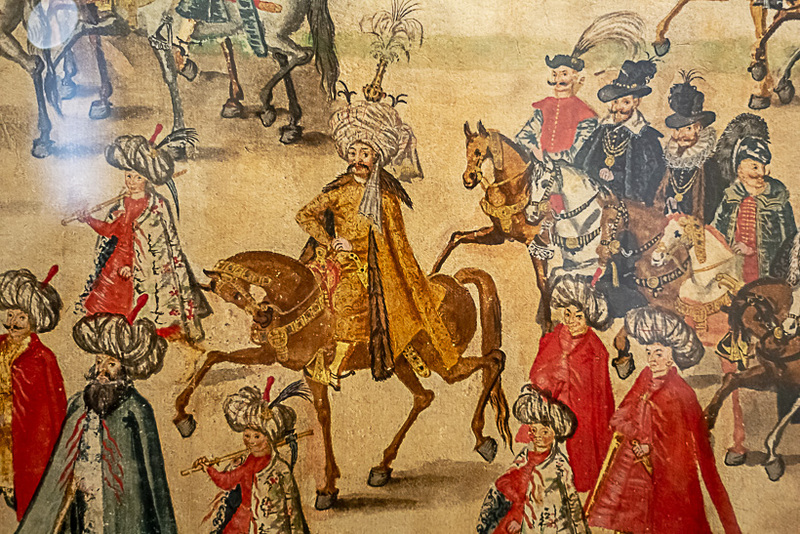 The wedding procession shown on the scroll was Sigismund III’s second marriage. Previously, he had been married to Archduchess Anna Habsburg. Anna was said not to be of exceptional beauty. However, she won people over with her tact and Sigismund soon fell in love with his new bride. They had several children, including future king Vladislaus IV. Anna died at a young age in 1598 and at her funeral, Anna's mother proposed to Sigismund her younger daughter as a suitable replacement. Although she was only nine years old, the king decided to wait until she matured. The wedding finally took place in 1605. The procession entered through the Florian Gate at dusk and they did not reach Wawel Cathedral until around 3 a.m. at night. Despite the torch lights, not much could be seen. Therefore, the procession was repeated two days later, and it is believed that it is this second procession that is depicted in the scroll. The marriage was successful and lasted until her death in 1631. They had several children together, including the future king John II Casimir.